Tag Archives for " Ninja "
It all started innocently enough, like these things mostly do. I went on a bit of a rant about the use of the word “synergy” and the next thing I knew, readers were blowing off pent up steam about all kinds of overused business idioms and cliches. Take warning, some people are very angry about the use of some of these terms. I turned the entire thing into a contest that allowed three lucky business folks to win a free annual subscription to the Enterprise version of online jargon busting accounting software inDinero. There were lots of great ones (go read the comments here) and bunch that I found myself thinking, ooh I use that one too much. ErinE – You need to “socialize” that idea. Go “socialize” it before we make a decision. Have you heard this one? Just awful. It essentially means “We all operate by groupthink here. We don’t make any decisions about things. We just like to talk about them. Jeff_Foster – “action item“… what the hell isn’t one? at the end of a meeting has anyone made a list of INACTION items?? Sign me up for those! Can you see Albert Einstein signing a letter as “The Physics Guru”? Jeremy Powers “Ninja” – You are not a Ninja. 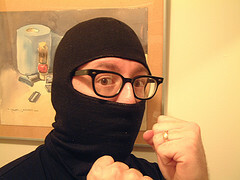 You are not a Facebook Ninja, LinkedIn Ninja, Social Media Ninja, Blogging Ninja, Web Ninja, or Internet Marketing Ninja. Did you study for decades, climbing your way through level after level of proven mastery?